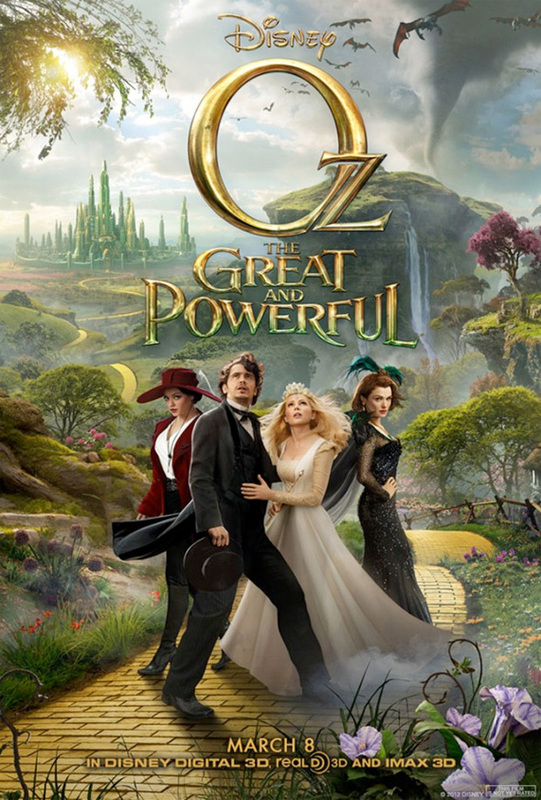 Quick Thoughts: There is way too much green screen going on in Sam Raimi’s Oz The Great And Powerful and the result is the film looks more like Tim Burton’s Alice In Wonderland than James Cameron’s Avatar and that’s not a good thing. You certainly don’t feel immersed in the land of Oz; it all looks quite fake. The acting does little to add to the believability, as four Oscar and Golden Globe nominees all do a great job of not taking their roles too seriously… and maybe they shouldn’t. But still, I don’t want to see Michelle Williams or Mila Kunis hamming it up. Having seen the Broadway version of Wicked last year, I know there is a way to continue The Wizard Of Oz story in a way that can still be embraced in 2013. I’ll take Elphaba’s origin story over this mess any day. Replay Value: I’ll probably never watch it again… but it might have a little value here. Sequel Potential: As a prequel to The Wizard Of Oz, obviously this property has plenty of legs. Oscar Potential: There’s a chance for some art direction and make-up love, but I have a feeling this movie will be long forgotten come Oscar season. Recommendation: A pretty cheesy offering. I didn’t see the 3D version so maybe the film looks spectacular that way; I doubt it though. I was excited for this movie but I lost interest before we even made it to Oz. All in all, a moderately painful experience. Quick Thoughts: I’ll admit to owning The Notebook, but nothing else that has been adapted for the movies in the Nicholas Sparks collection has struck my interest and half of the movies based on his books I don’t even remember coming out. Needless to say, I had no interest in watching Safe Haven and it’s 13% rotten rating had me absolutely dreading having to sit through it. But when you’re in a relationship, sometimes, them the breaks. I could go on listing reasons why I didn’t enjoy Safe Haven, but I didn’t want to waste my time watching it, so I’m certainly not going to waste too much time writing about it. Recommendation: Boyfriends, if you’re worried about seeing this movie, you should be! I’ve seen more painful movies in my day, but I’d bet Safe Haven is the worst film I see in 2013. 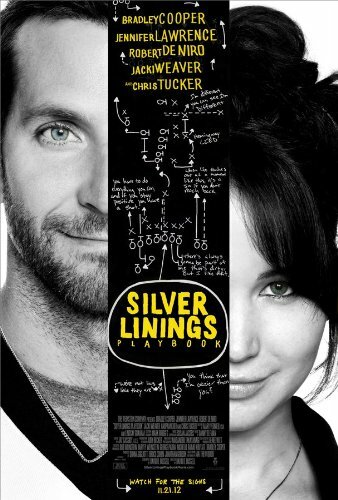 Quick Thoughts: David O. Russell follows up The Fighter with another powerful film in Silver Linings Playbook. This film tackles mental disorders and broken relationships, but is still a love story at its core. Russell seems to have a knack for coaxing great performances out of his casts. After earning three acting nominations for The Fighter, the Silver Linings Playbook cast managed four. De Niro gives his best effort in at least ten years, Lawrence cements her status as the best young actress in the business, and Cooper is shockingly awesome. Truly, in most years without a Daniel Day Lewis movie, Cooper deserves an Oscar. The material handled here could easily be presented in an annoying fashion, but the cast makes it work…wonderfully. The end result is a sweet and troubled love story, the kind of which a man shouldn’t have to be dragged to the theater to see. Replay Value: Worthy of owning. Sequel Potential: None…however, Lawrence and Cooper have signed on to Russel’s next project, along with Christian Bale, Jeremy Renner, and Amy Adams. Holy crap. Oscar Potential: A Best Actress win for Lawrence (the first of many? ), nominations for Cooper, De Niro, Weaver, Russell, and Best Adapted Screenplay. Recommendation: A fantastic movie featuring great performances. A love story both sides of a couple should appreciate. You are currently browsing the The Bat Cave blog archives for March, 2013.